or via email at Sales@turtlesurfboards.com . 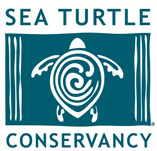 Sea Turtle Conservancy - Helping Sea Turtles Survive Since 1959! Dave Golden is a skilled craftsman specializing in wooden surfboards. Using a perfected rib construction the surfboards are built strong, durable, and are lighter than you would imagine. The wooden surfboards are the most eco-friendly surfboards on the market and offer a smooth ride with a unique look. They also make for excellent wall art. For more information on ordering a custom wooden surfboard please call 561-352-0914.